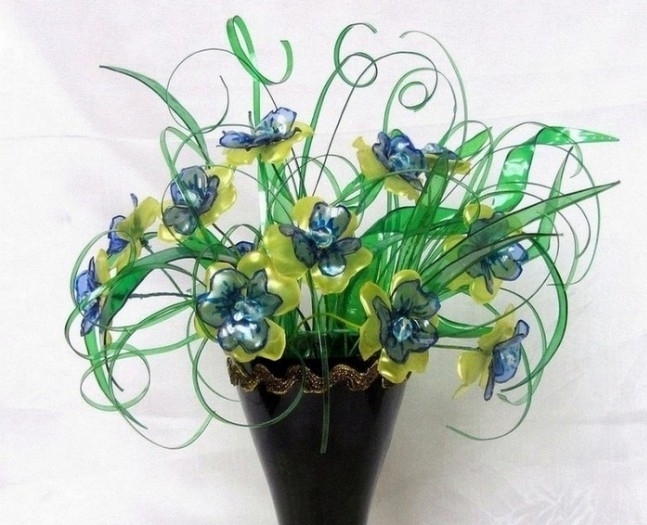 Bouquet of flowers “Summer” is made from bottles of yellow and blue. It will take a marker and blue. Draw a pattern on the bottle (see. Photo below), a circle with a diameter of 4 cm., The second – 3.5 cm. (For the top and bottom of the flower). Put a piece of plastic bottle on top of the stencil and drag the marker. Cut and fire lighter. In the center make a hole with an awl. On top of the flower for greater contrast blue marker was used. 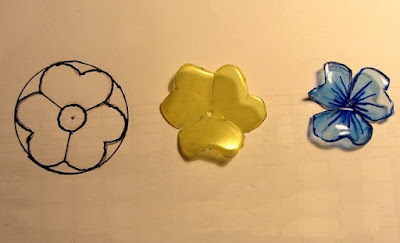 Connect the two parts of the flower with the help of wire-stem and beads (see. Photo below). You can make a single layer flower with four or five petals. 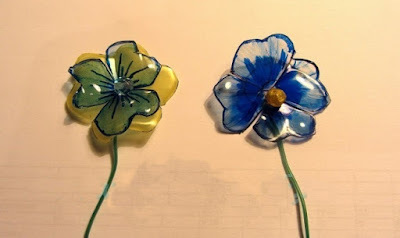 On the back of the flower painted blue marker and shade with a cotton swab with cologne. You can use the nail polish. 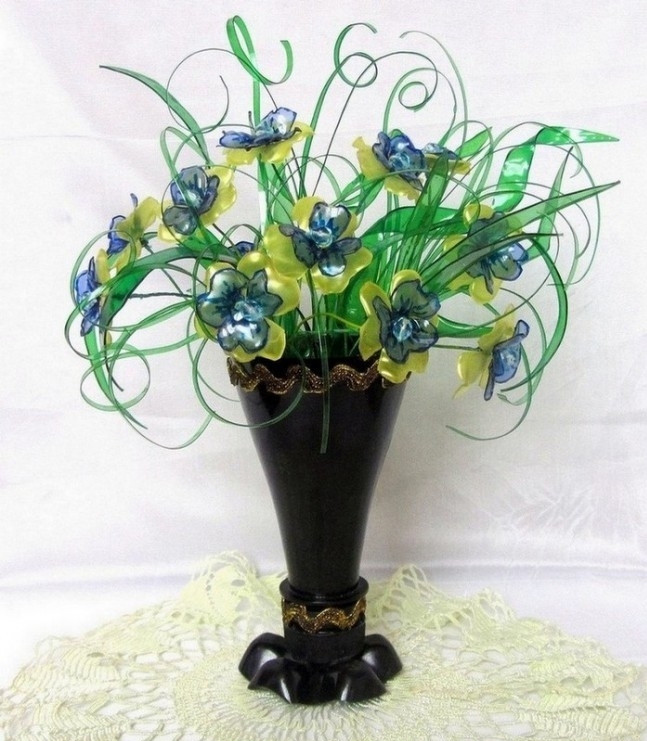 To make the curvature of the leaves are wound on a pen or pencil after firing a lighter.